H&M recently featured plus-size model Jennie Runk wearing the new swimsuit collection on its homepage, seamlessly integrating her with other, rail-thin models.While plus-size models have appeared in fashion shoots and spreads for years, it is often done in a very loud, “we’re sending a message,” way.On the June 2011 issue of Vogue Italia, for instance, the models only made the cover when posed seductively (and symbolically) next to big bowls of pasta. 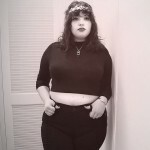 American Apparel‘s “Next Big Thing” plus-size model contest was a testament to the flippant puns often associated with, as the retailer put it, “booty-ful” models with “full-size fannies.”But that appears to be changing, led by brands like H&M, which is currently featuring the also-voluptuous Beyoncé on its homepage.The normalization of more substantial bodies would represent a big shift in the fashion world. Although the industry has always claimed to value healthy body types, it has discriminated against plus-size models for a very long time. 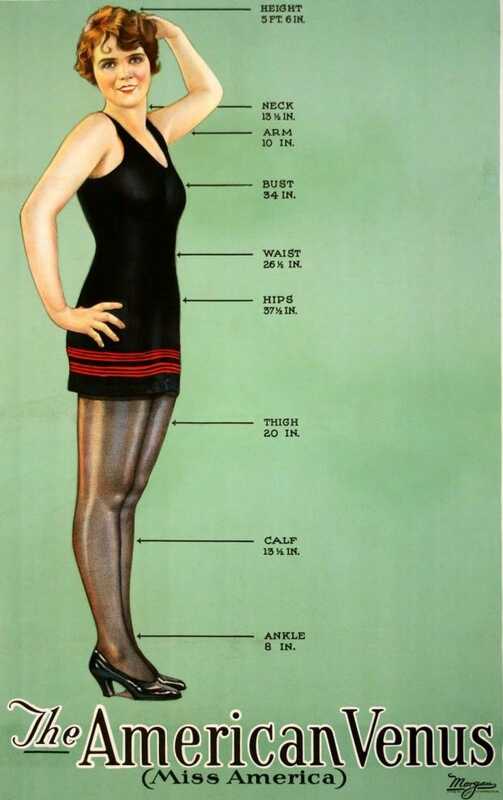 The early 20th century has the reputation of embracing curvier women, with the supposed “American Venus” based on Miss America 1926’s silhouette measured a thin 34, 26.5, 37.5. That’s still rather thin, but it’s nothing compared to what would come. 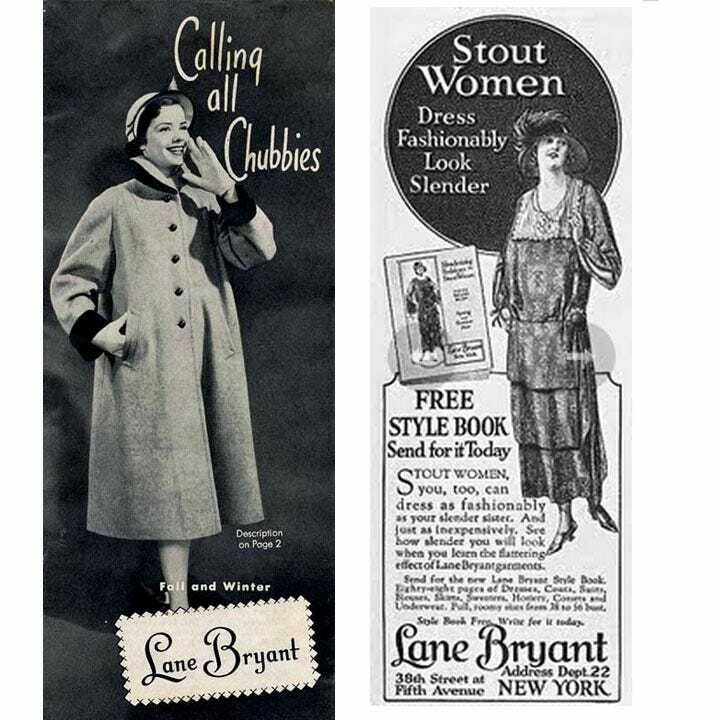 Until the mid-1950’s, Lane Bryant used illustrations to market its “stout” line (though even here, the women look slim). 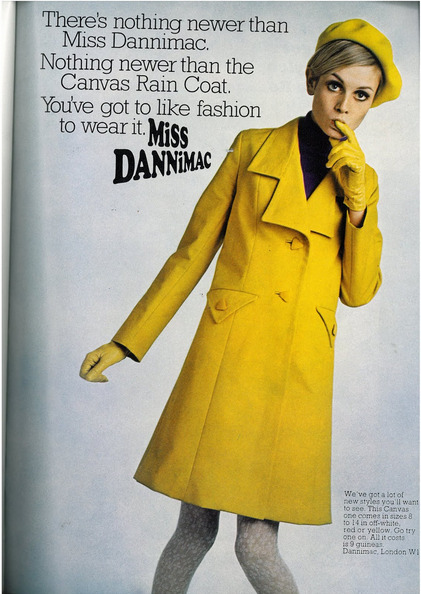 Twiggy’s emergence in the fashion scene during the 1960s is often associated with the beginning of the industry’s idolization of waif-thin models. It wasn’t until 1977 that Mary Duffy founded Big Beauties Little Women, which was the first agency for plus-size and petite models. Slowly but surely niche shops popped up, although the models were hardly integrated in the fashion world. Bigger agencies (like Ford Models and Wilhelmina) started building plus-size divisions in the ’90s. Ford hoped its plus-size model super star Emme (right) would be the first to cross over into the world of couture. But even though Emme, who in 1997 was 5’11” and 190 pounds, graced magazine covers, was a Revlon cover girl, and one of the highest-paid models in the industry, she never did a designer show. 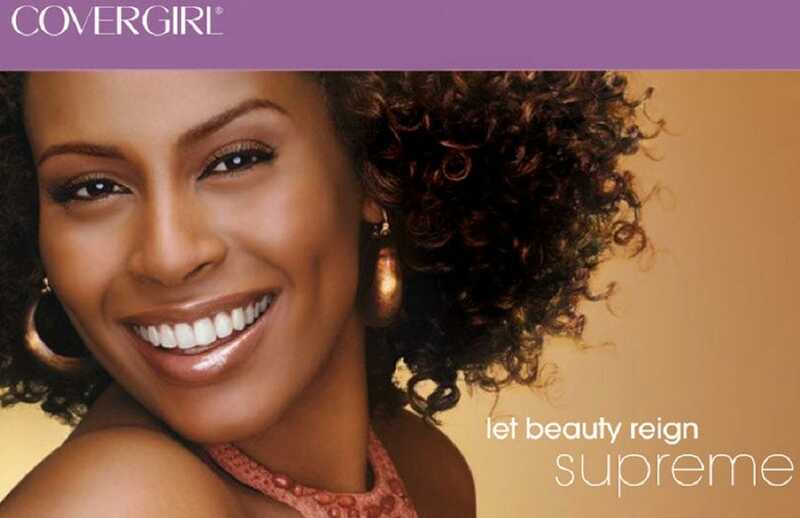 Even though Emme was the first plus-size model to sign as a spokesmodel with a cosmetics company in 1998, Cover Girl didn’t hire a plus-size spokesmodel until Jordan Tesfay in 2010. Any model’s weight change immediately makes headlines. 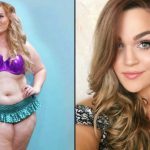 Model Alice Jackson gained particular attention when she admitted to overcoming anorexia — at 5’9″ she weighed 108 pounds — and switched to plus-size lingerie modeling. Note: She wears a size 10 at 154 pounds. Crystal Renn became a famous plus-size model, posing for everyone from Gaultier and Jimmy Choo to H&M, who found her stride as a size 12 after working as a sample size model fighting anorexia. She penned the book “Hungry” about her journey. Plus-size icon Sophie Dahl appeared in several major campaigns, including this famous Yves Saint Laurent Opium perfume ad that was banned in the U.K. in 2000. 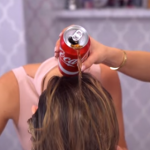 But sometimes designers find problems even with traditionally “plus size” models’ weight. Marquita Pring is 5’11” and fluctuating between sizes 12 and 14, She told Women’s Wear Daily that she regularly has to pad her body to fit clients’ ideals. “To make you seem all around wider,” she explained. “I mean, from the side you look kind of weird — and it feels weird.” Other models have been known to use chicken cutlets to create the illusion. Integration into runway shows is still hard. The model leading the pack down the runway is a size 12. Designer Mark Fast wanted to feature women of all sizes in his 2009 London fashion show, a rarity in the field. Some of his employees were so annoyed at working with plus-size models that they reportedly quit. In September 2012, Ralph Lauren named Robin Lawley, one of the Vogue Italia cover models, its first plus-size model. Nancy Upton made a profile that mocked the competition. Even though she got the most votes, American Apparel disqualified her since she was making light of the process. That’s why H&M’s approach with plus-size model Jennie Runk was so refreshing. 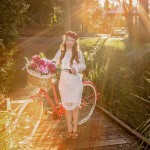 It didn’t call her out as plus-size, even though she was in beachwear. 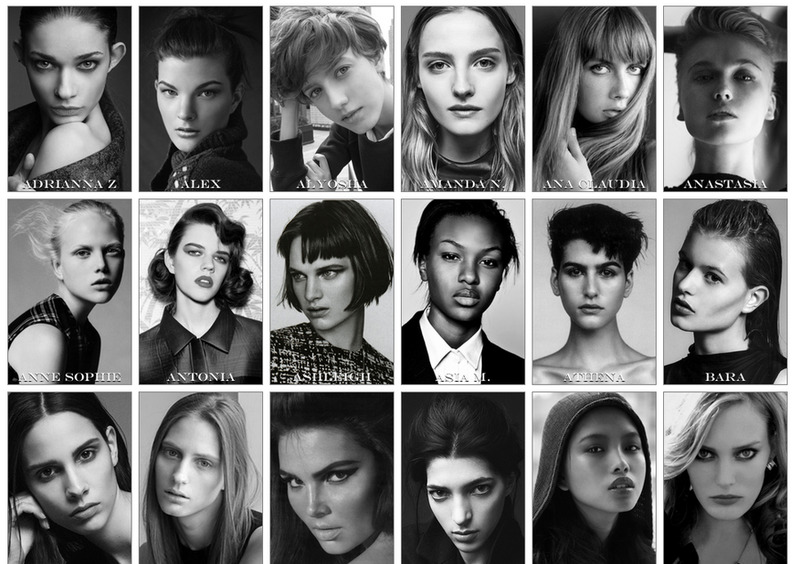 And yet … If you look at the first 40 women on the homepage of top agency Ford Models, all but one have hips that are narrower than 35 inches. 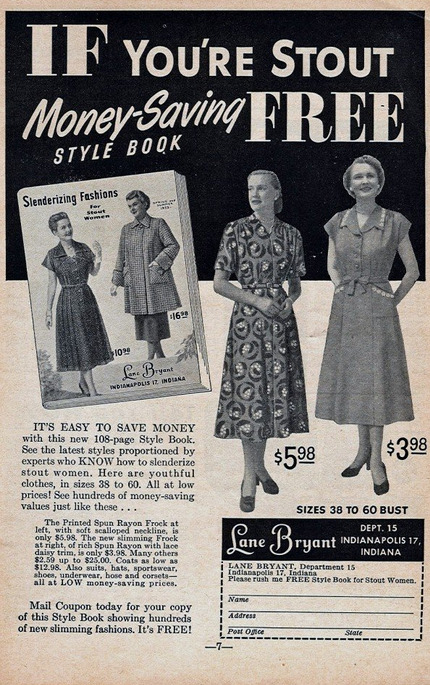 That’s 2.5 inches narrower than the “American Venus” of 1926.